After extensive research, we could not find the ingredients that go into this product. This is very concerning. There are 100 capsules per bottle. 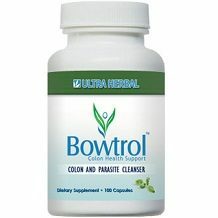 There was no indication on the website how many capsules should be ingested daily. As the ingredients and dosage are not stated we cannot evaluate how safe this product is to use. The manufacturer has also not mentioned any side effects or provided any warnings for using this product. As with all products, it is recommended to consult your doctor first. The price of this product is not stated on its website. According to Amazon, it is sold for $27.95 per bottle. If you purchase online through its website, you are offered 2 free bottles as a trial period. This product offers a 30-day guarantee on the product. There is not much else stated regarding the guarantee. Though, under the terms and conditions, it states that there is a 90-day return policy. The product states you may return any unused and unopened items purchased from them for any reason within 90 days of your purchase. If you purchased your merchandise through a ‘Buy Three, Get Two Free’ or similar offer, all items must be returned in order to receive a refund. If you return a partial amount of merchandise, you will forfeit the free product and receive a refund on the discount price per item based on the total purchase. You should return the item to them within 90 days of your purchase date. They do not accept items back that have been opened or used. Opened items are non-refundable. There is a $10.00 restocking fee for returns per item. We feel that it is not really fair to only offer a guarantee on unopened purchases as one needs to actually feel the effectiveness or ineffectiveness of a product in their body. 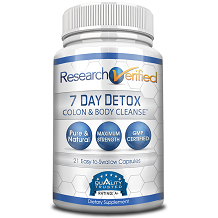 It is nice to have a product that focuses on colon cleansing including parasite removal. What was realized after searching for the price of this product is that by starting their “free” trial of 2 bottles, you would get billed monthly unless cancelled. The guarantee is vague and is different when compared to the actual website and its terms and conditions page which leaves it ambiguous. The fact that the ingredients and dosage are not stated on this product are highly concerning. We would not recommend this product based on all these facts. It is important to look for a product that is more forthcoming with information.